‘Tis the most wonderful time of year for brands. Holiday-related sales in the United States are expected to surpass $923 billion in 2017, up 3% from last season. That number may make visions of profit dance in your head, but it also presents a huge challenge: more spend means more competition—and much more marketing messaging for consumers to sort through. So, what can you do to stand out? Which approaches will break through all that holiday noise? To find out, take a look at the overview below, as well as MDG’s new infographic, 10 Essential Holiday Marketing Tactics for 2017. While the U.S. holiday season is often thought of as occurring mainly from November through Christmas, the reality is that consumers shop for gifts long before and long after that. Given that the holiday shopping season now lasts all the way from early October through early January, ensure that your messaging starts early and ends late. Do people look for holiday gift inspiration online? In stores? Do they ask others for recommendations? The answer to all of those is yes. Today’s consumers go broad and deep when hunting for gift ideas. If you want your products and services to be found by holiday shoppers, don’t limit yourself to one or two channels—provide inspiration everywhere you can. Some 42% of retailers say they’re planning to focus more on social media this season. Why? Because increasingly that’s where younger consumers look first when holiday shopping. Simply put, engaging on the right social networks during the 2017 holiday season is absolutely essential if you want to reach younger consumers. Marketers often use generic holiday-themed language rather than specifically calling out a date (Christmas, etc.). This can be mistake, since broad messaging often falls flat with consumers. While creating generic campaigns is certainly easier, specificity about which holiday you’re targeting can boost the effectiveness of your campaigns. Personalization can be extremely powerful during the holiday season. Last year, email subject lines that included consumers’ names significantly outperformed those that did not. Not every holiday email needs a personalized subject line, but make sure to send at least some this season to add extra impact. People love sales during the holiday season. The problem is that every brand has these. That’s why things other than discounts are often what spur consumers to take action. To differentiate your brand during the holiday season, don’t just focus on discounts, make sure to also pay attention to other elements such as shipping, pick-up options, and customer service. Every marketer understands the importance of smartphones and tablets. Still, it’s worth reiterating the point: mobile devices have become a core part of the holiday shopping process. 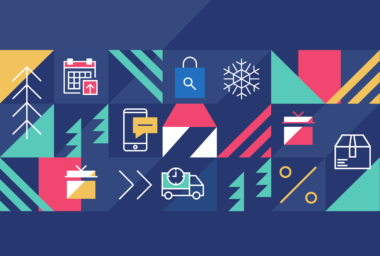 If you want to succeed this season, every aspect of your digital holiday campaigns—from display to checkout—must be designed with mobile in mind. For many retail brands there’s an elephant in the room during the holiday season: Amazon.com. The online retail giant now impacts impacts almost every facet of shopping. If Amazon impacts your market even slightly, make sure to keep a close eye on its pricing, messaging, and search changes throughout this holiday season. Why do people fail to complete e-commerce holiday purchases? There are many reasons, but one of the biggest is often overlooked: they’re worried about the retailer’s return policy. For many brands, these are relatively simple concerns to address. By making a few changes to your return policy, you may be able to see a significant boost in holiday order completions. Finally, if a consumer doesn’t complete a holiday purchase on your site, make sure to try and try (and try) again. Why? Because abandoned cart emails and targeted ads are highly effective. Keep in mind that holiday shoppers have too little time and too many marketers trying to reach them. That’s why presenting simple options such as abandoned cart completion is so effective. Ultimately, if you engage smartly—at the right times, on the right channels, and with the right messaging—you’ll make shoppers’ lives easier. That, in turn, will make it more likely that they’ll purchase from your brand this holiday season. To find out more, check out the full infographic, 10 Essential Holiday Marketing Tactics for 2017.